A fashion classic in one great yarn. 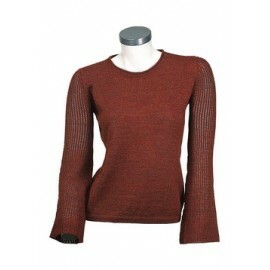 It’s all about warmth with this remarkably warm yet lightweight turtle neck sweater. A fashion classic in one great yarn. It’s all about warmth with this remarkably warm yet lightweight turtle neck sweater. It’s timeless design makes it a perfect piece for any winter wardrobe. 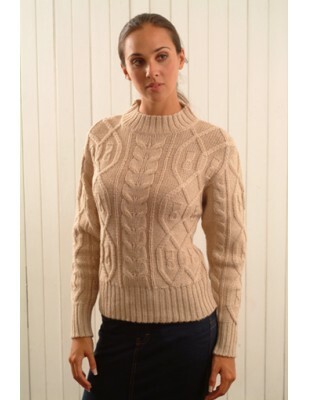 And because alpaca is one of the most durable wools, you’ll enjoy it for years to come. 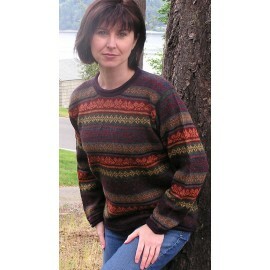 It has a large cable design and pleasing stripes that grace the front, back and sleeves. The wide turtle neck is ribbed. The sleeves and hem are banded. An excellent choice for outdoor activities.